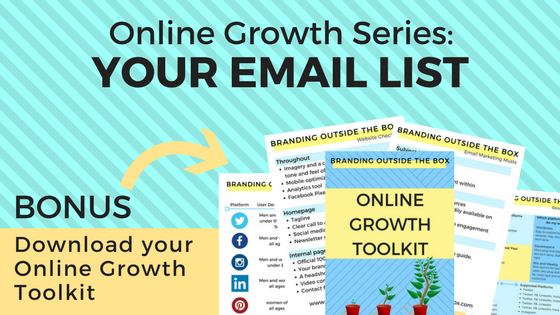 If you’ve been following Branding Outside the Box, you know the importance of developing a quality email list. If you haven’t, read this past post first. We’ll be waiting. Great, you’re back! The passive growth techniques I outlined in the previous post will slowly grow your list over time with minimal effort on your part. But if you want to exponentially grow your list in a short amount of time, there are two things you must do: create valuable, tailored content, and then promote that content online. Content. The primary way to build an engaged email list is to only send them content they’ll be excited to open. No one wants advertising and billboards delivered to their inbox; they want value. The content you create will vary drastically depending on your industry. Some of our authors send monthly writing prompts and editing tips. I subscribe to numerous marketing, social media, and tech newsletters that explore the latest developments on those subjects, as well as those offering publishing industry news and updates. Photographers can send photo prompts or DIY photography tips, wedding planners can showcase new trends or cool decorating ideas. Thought leaders write articles and share insights from their field. No matter what industry you’re in, the majority of your content should serve your audience, not sell them. If you give them interesting, valuable content that’s unavailable anywhere else online, they’ll look forward to your monthly or weekly e-blasts and your open rate will increase. I know you’re probably thinking, “But if I’m not selling anything, then what’s the point of sending e-blasts?” You’re right, the primary goal, in the end, is to sell to your audience. You just need to do it the right way. Before someone buys anything from you, you have to earn their trust and demonstrate your authority. This is more than sharing testimonials and reviews from your work; it’s giving recipients a sense of who you are and what you do—and how this benefits them. If you’re a web designer, an article outlining the recent updates to Google search will show readers that you’re in-the-know. If you’re a business consultant, an article about managing Millennials or making changes to a corporate structure can show recipients the ways you can help improve their company. If you’re an artist, showcasing a recent project and providing insight into the creative process will give your audience a behind-the-scenes preview of your work. Your aim is to earn their trust, and once you do that, you’re ready to sell. Promotion. Once you’ve developed a killer content strategy for your email marketing, it’s time to promote the sign-up. In addition to passive strategies (adding sign up forms everywhere, providing content upgrades, etc. ), it’s also necessary to actively promote your newsletter sign-up. The most straightforward way is via social media. A few tweets and one Facebook post a month reminding people to sign up can generate a decent amount of subscribers. You can also play off of people’s FOMO (fear of missing out) and share the newsletter content after the free offer (addressed in the previous post) has expired. It’s also important to include share buttons in every newsletter so subscribers can spread the word on your behalf. The final tactic is to incorporate newsletter sign-ups into your in-person networking. If someone receives a free piece of content or discount when they subscribe to your newsletter, print up postcards or business cards boasting that info. Whenever I give a presentation, I offer attendees copies of the slides in exchange for providing their email address. If you’re working an expo or trade show, always include a sign-up form at your booth and provide an incentive for people to hand over their email address. Once these practices become habit, you’ll see your list grow month after month, week after week. 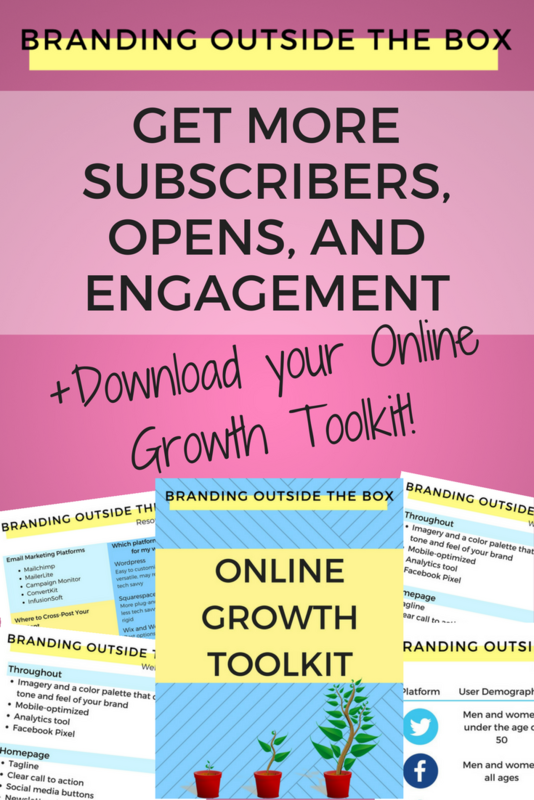 We’ll wrap up our online growth series next week when we’ll discuss building your social media following, so stay tuned and don’t forget to download your Online Growth Toolkit!